Our Kickstarter has ended. While we raised $4193, this was still short of our $5000 goal, so we failed to fund, and won't be receiving any money, and a second volume of Mysterion will not be happening anytime soon. That's disappointing, especially considering the incredible amount of work we put into the Kickstarter, but if nothing else, we did learn some important lessons. The most difficult thing is getting noticed. We tried hard to get noticed by relevant opinion leaders. A mere mention on one of the high traffic blogs or Twitter feeds, some of which have talked about us before, would have made enough of a difference to put us over the top. But hundreds, or maybe thousands, of people are constantly hitting up those sites in an effort to get mentioned. It's not easy to stand out in all the noise. We need a bigger audience. As a corollary to 1, we need a bigger audience of our own. If we had thousands of Twitter followers, or thousands of unique visitors to our website every day, it would have been much easier to find people who wanted to contribute to our Kickstarter. Most people aren't as excited about our project as we are. Even with 2, the number of people who are willing to come by and consume our free content is much larger than the number who are willing to pay cash for books. If everyone who liked our page on Facebook, or who came to read our blog posts, had contributed to the Kickstarter, we would have been funded. We've heard that maybe 1% of your readers are willing to give you money, but even that may be high. Friends and family can be your biggest backers. That's where most of our pledges came from. They don't even have to care about your project. Many of our contributors weren't Christians, and may not have been especially interested in an anthology of Christian-themed fiction, but they liked us and wanted us to succeed. And when we neared the end and were falling short, they raised their contribution levels again and again in an heroic effort to fund us. Don't self-sabotage. Two days before the Kickstarter ended, when we were still short of the 60% threshold after which 98% of projects reach their funding target, we were pretty sure we wouldn't reach our goal. And we started saying so. That was probably a mistake. We're not naturally optimistic people, but our doom-and-gloom certainly didn't help convince others to back a Kickstarter that its own creators didn't think would make it. So, what next? We don't think it makes sense to publish another anthology until we have a larger audience. But we don't want to stop publishing, either. There aren't enough venues that can afford to pay authors professional rates for their work, and there are too few places interested in publishing fiction that engages with Christian ideas and themes in ways that may challenge the preconceptions of both Christian and mainstream audiences. We do have a plan, though. One that will allow us to keep publishing for a lower up-front cost (while still paying pro rates), and help us build our audience at the same time. We aren't quite ready to announce it, but when we are, we'll post about it here. Newsletter subscribers will also be among the first to find out, so if you want to hear about our next project (especially if you're an author who might want to send us a story), be sure to sign up! 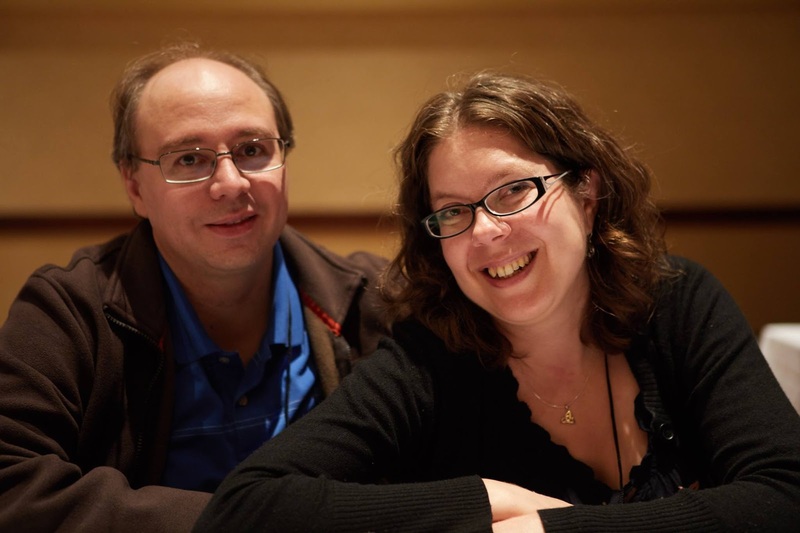 Donald and Kristin are the editors and publishers of Mysterion.